As Halloween approaches, we remember one of the scariest hacks in history; in the days before the internet, evening television viewers in Chicago were shocked when their programs were interrupted by a strange, masked man; his identity has never been established. On a Sunday evening in Chicago, 30 years ago, television viewers were settling down to watch their favorite programs. On Channel 9, the "Nine O'Clock News" was showing a sports-round up. Local sportscaster Dan Roan was covering the highlights of an American football match, a victory for the Chicago Bears over the Detroit Lions. Suddenly, at 9:14pm, the program disappeared from the screen, replaced by darkness. 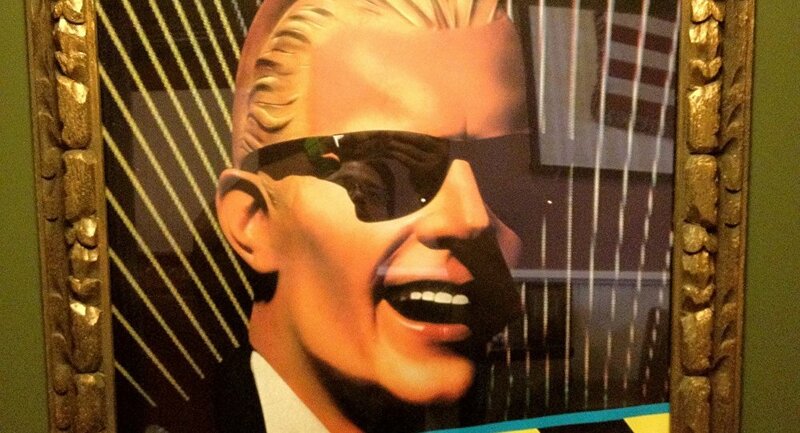 After several seconds, viewers were greeted by a terrifying figure wearing a rubber mask of TV character Max Headroom and sunglasses. After bobbing around the screen on a striped background, the character was eventually cut off when TV crew finally flipped a frequency switch. When the camera returned to a dumbfounded Dan Roan, he told viewers, "If you're wondering what's happened, so am I." Later that evening, Max struck again: this time on Channel 11. At 11.15pm he interrupted an episode of Dr. Who with a garbled message, then pulled down his trousers and turned to his accomplice, who began spanking him on the bottom with a fly swatter. Some viewers were scared; others were confused or even amused. However, US officials did not see the funny side of the incident. The Federal Communications Commission (FCC) announced an investigation, which was joined by the FBI. "I would like to inform anybody involved in this kind of thing, that there's a maximum penalty of $100,000, one year in jail, or both," FCC spokesman Phil Bradford said. "There are some who may view this as comical," Andy Yocom, a spokesman for WTTW, the owner of Channel 11, said. "But it is a very serious matter because illegal interference of a broadcast signal is a violation of federal law." It is believed that the hacker used a dish antenna, placed at a high location, to interrupt the television signal between the studios and their downtown transmitters. There is a theory that the culprit was a disgruntled ex-employee of one of the television stations, but to this day, the person's identity remains a mystery.